I’m occasionally asked if being a black belt makes me a registered lethal weapon, if I must register that I’m a black belt, or similar questions. The simple answer is no, and schools that claim their students are registered with any level of government are lying. The root of these stories is debated, but the one most logical to me is from feudal Japan. A law was struck that required certain warriors to register themselves with the new government. The government saw the warriors as potential threats, so they quickly executed them when they registered. As you may guess, this dissuaded them from registering, and caused a revolt. This story caught on with movies and television shows, and some instructors who lack ethical standards decided to run with it as a marketing gimmick. There is however, some legal liability as a martial artist. 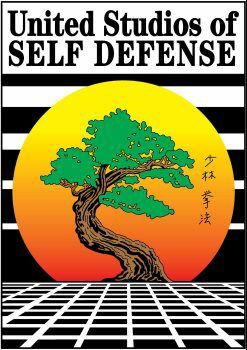 As a 4th degree black belt, I’m entitled to the same right of self-defense as anyone else. If I’m attacked, I can do as much as what’s necessary to protect myself or someone else. However, if I were the aggressor, or as an example, after clearly subduing the attacker I decided to “teach him a lesson” by delivering extra strikes to punish him, I could be charged with Assault with a Deadly Weapon. That would also be true for anyone wearing a steel-toed boot used with excessive force, or other similar scenarios. In serious crimes a prosecutor accesses bank statements, credit card use history, etc. In the case of someone like me who teaches for a living, it’s obvious I’m a skilled martial artist. If the prosecutor sees a student with years of payments to United Studios of Self Defense it’s easy to assume they have developed some skill in that time. To put it simply, if you’re a peace-loving person who defended yourself, you have nothing to worry about. It would be a huge mistake to go into a situation with legal liabilities in the back of your mind. Remember the expression, it’s better to be tried by 12, than carried by six. Having said that, the likelihood of prosecution is incredibly small if you’re truly just defending yourself. Any thoughts? Questions? Want to add your two cents? Comment below. I’d love to hear from you!